Don’t spend your day trawling the Internet for all that other ‘stuff’ you use in the printroom. We’ve done it all for you – and we’re adding more all the time! These items are listed alphabetically. 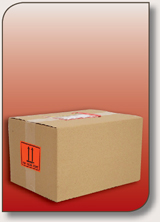 If you can’t see something you need, please let us know so we can add it to our range. Call 1300 196 156. Universal ceramic rings for most ink cup makes and models. See our range of ceramic ink cup rings HERE. Made from premium quality silicone to resist swelling and the effects of thinner, these O-Rings will ensure a perfect fit and seal of the ceramic ring onto your ink cup. 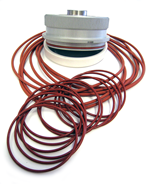 These quality sealing O-Rings come with every ceramic ring supplied by Colour Components, and are also available separately. 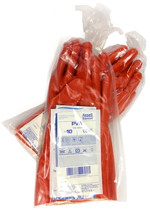 PVA gloves are highly effective against organic chemicals, such as chlorinated solvents and aromatic compounds, making them excellent hand protection for your solvent wash-up unit. The DB20 is a universal blade to fit open ink well doctor bars on most pad printer models and brands. The DB40 is a universal blade to fit open ink well doctor bars on most larger pad printer models and brands.